Gum disease is a serious dental condition. If it goes unchecked, it can destroy your smile, causing gum recession and tooth loss. In rare but severe cases, the bacteria in your gums could even spread to your jawbone, and you could develop a life-threatening infection. For all of these reasons, it is important to have your periodontal disease treated as soon as possible. Root scaling and planing is a vital part of dental care because it can eliminate bacteria and prevent lifelong damage. After your procedure, Dr. Balloch can explain the most effective ways to protect your smile and prevent gum disease flare-ups. To learn more about root planing and scaling, contact our Hartford practice today. When oral bacteria move from your teeth to the deeper layers of your gums, periodontal disease will develop. Ordinarily, routine brushing, flossing, and dental cleanings can keep this from happening. However, if you neglect proper care or if another health condition puts you at risk, you can still suffer from the gum disease. At first, the microbes will simply gather along your gum line. At this point, the condition is reversible with a regular cleaning. However, once the bacteria are in your soft tissues, they will form pockets, which will grow larger over time. As the pockets expand, your gums will start to pull away from your jawbone. This can lead to significant discomfort, bleeding, tooth loss, and other symptoms. 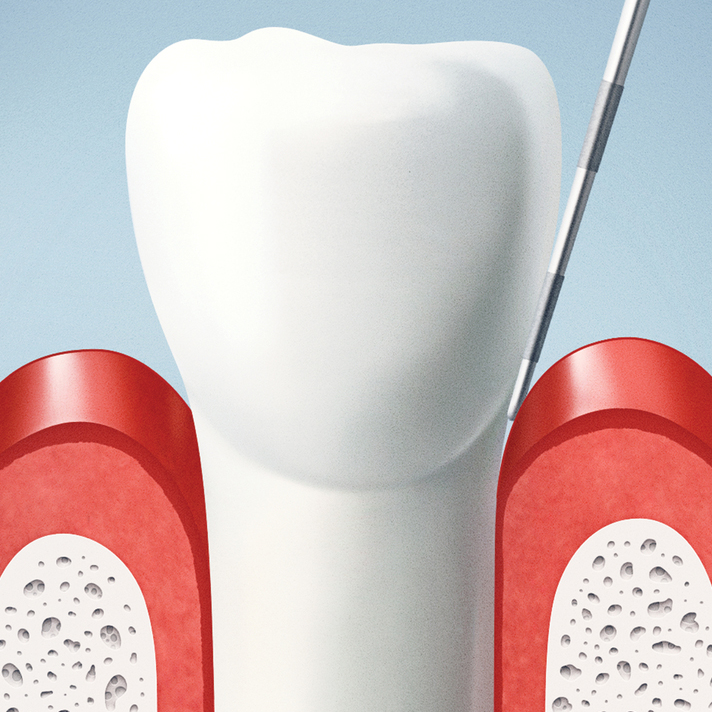 Treatments, such as root planing and scaling can keep gum disease under control and reduce your risk for tooth loss. Before your planing and scaling procedure, Dr. Balloch will numb your gums. This will keep you relaxed and comfortable throughout your treatment. If you are still feeling nervous about the procedure, our partner anesthesiologist can also administer IV sedation. Then Dr. Balloch will remove the pockets of bacteria, plaque, and tartar from your gums. He will work gently and meticulously to eradicate all harmful substances with as little impact to your healthy tissues as possible. In this way, he can ensure your oral health and a faster recovery. In some cases, Dr. Balloch may also treat the periodontal pockets with a topical anesthetic. Next, he will smooth your dental roots. Rough places on your roots can easily trap bacteria, making another outbreak far more likely. In many cases, planing and scaling can be completed in a single appointment. If you have severe gum disease, you may require several visits. Following root planing and scaling, it is normal to experience some sensitivity. Dr. Balloch may recommend a special toothpaste or topical cream to alleviate discomfort. With or without these products, sensitivity will usually start to fade within a few days. After your procedure, it is vital that you take good care of your teeth. Without proper hygiene, bacteria will quickly return to your gums. Brushing, flossing, routine dental visits, mouthwash, and a healthy diet are all important. Contact Dr. Balloch’s office to learn more about gum disease and find out if root planing and scaling is the right treatment for you.